Richard L. Stack, a native of Los Angeles, has been in practice since 1973. Mr. Stack's legal practice includes trust and estate, real property and general business law. He has extensive experience in administration of trusts and estates. He serves as legal advisor to individuals and businesses, and as outside general counsel to nonprofit religious and public benefit corporations. 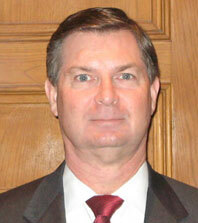 Mr. Stack also manages commercial real property as a general partner of limited partnerships. He is a past Chairman of the Probate and Trust Law Section of the Los Angeles County Bar Association and has served on the Bar Association's Continuing Education Advisory Board. He also served on the Board of Governors for the Lawyers Club of Los Angeles County, is a member of Chancery Club and is a Fellow of the American College of Trust and Estate Counsel. Mr. Stack is actively interested in education and serves on the Board of Councilors for the University of Southern California Law Center, the Loyola Law School Board of Overseers and on both the Pepperdine University Board and Pepperdine Law School Board of Visitors. He is the Trustee of the Hugh and Hazel Darling Foundation, a charitable foundation that supports education. He is also a Trustee of the UCLA Foundation and formerly served on the Board of Trustees Boalt Hall Trust.